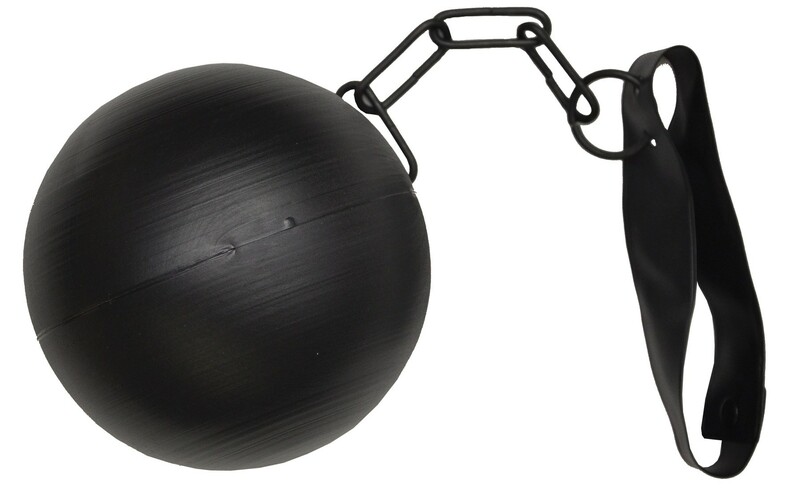 Plastic ball with metal chain. Ties around ankle with black ribbon. Hollow ball, approx. 5" in diameter, chain approx. 6".